The spring season is continuing to truck along nicely. 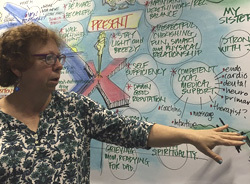 SHIFT-IT Online's current cohort is awesome --- tons of deep inner work being done with the Visual Maps with clarity and physical manifestations popping up already! They are just moving into the final stages of SHIFT-IT ... moving from energy alignment into finalizing their action plans. The Fundamentals of Working Visually cohort, sprinkled from across the globe, is also picking up speed. This week they organize their home studios in preparation for their first major assignment --- creating their first Studio Work piece (a visual mural used to 'push' selected information). Can't wait to see their creations when we virtually gather again on Monday. 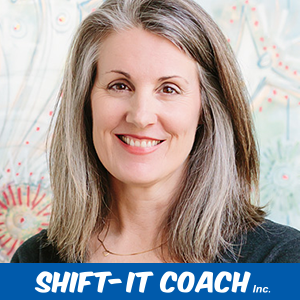 And, yesterday and today I've been conducting an in-person private SHIFT-IT Coaching Retreat with Susan H. ... who's travelled from the sandy banks of North Carolina to spend a few custom days with me. Susan's participated in various online courses over the last several years so it's been a delight to meet her face-to-face and spend some quality time together. Her specialty is mentoring and support of disability clientele, an honorable path I'm really pleased to assist with. 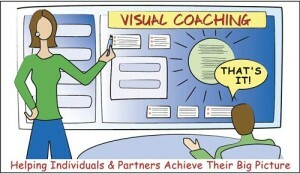 And, bringing an end to my busy work week ... tomorrow afternoon I'll be hosting a 90-Minute Info Webinar: Intro to Visual Coaching. 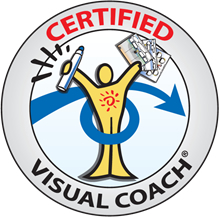 With Visual Coach Certification 2016 right around the corner (starts April 5th) I've been fielding applications and answering questions about this cool niche within the visual niche. Seemed a good time to do a drop-in webinar for those wanting to learn more about working visually with individuals, partners and teams. 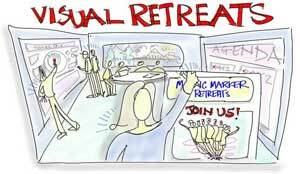 So come on by at 1pm pacific online on Saturday ... see what Visual Coaching is all about, learn some tips for working with Visual Thinkers and get inspired to add visuals to your own process work. 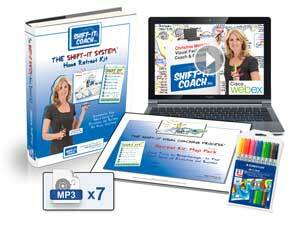 Only 25 live seats available (first come first serve at time of webinar). If you can't join us live or all seats are filled, register anyway to receive video recording as soon as it's available. Finally, to top it all off, I've written this issue's article on an interesting and important topic called "bio hacking". With the increase use of technology in our modern world, our instinctual circadian rhythms are being impacted with serious consequences. As my own work and life shift to a more 'virtual' existence, I'm learning how to balance those changes with certain intentional 'hacks'. See article below for an explanation plus helpful resources to point you in the right direction. Only 25 Live Spots Available. 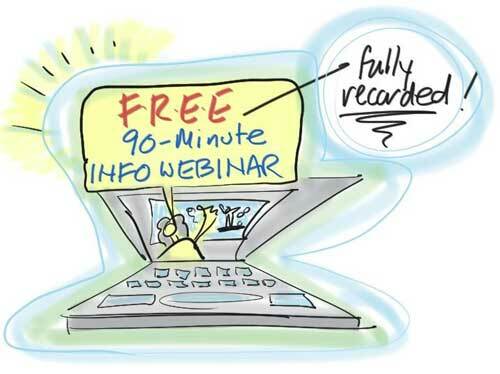 First Come, First Serve at Time of Webinar. *** Fully Recorded: If you can't join us live (or all spots are taken), register anyways to receive playback video ... Delivered as soon as it's available afterwards. DO YOU NEED TO BIO HACK YOUR LIFE?! 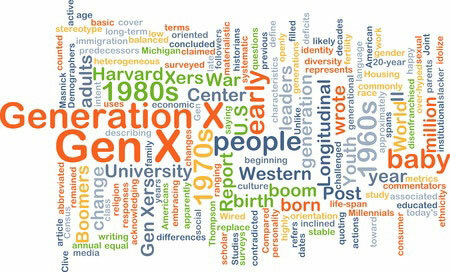 Born in '68 I'm a Gen X'er. Sometimes I find myself wishing I was a Millennial ... oh, to be so fluid with technology having grown up a "digital native". But then I retract that wish because then I wouldn't have memories of life before computers, the internet, cell phones, wifi and social media! And those memories are precious. I value being born at a time where my generation straddles two worlds in their lifetime. It's challenging (to keep up with tech and stay relevant in an increasingly global market place) but it's also a blessing because I still retain a visceral sense of what real world connection is (to places, people and nature) AND its importance for human beings. Technology has changed very quickly but in many ways we as a species haven't. And that causes some real conflicts. Slowly over the last decade, my lifestyle has become increasingly virtual. Where I used to travel and work in-person all of the time, I now primarily work online ... occasionally meeting face-to-face. The ratio has completely flip-flopped. Increased use of technology can be very handy. Frankly I wouldn't have a business if the internet hadn't bloomed when it did. I'd never have been able to survive living in a relatively remote place with the unique niche I have ... I'm on a large island off the west coast of Canada). However, as great as technology is, it also has its drawbacks. Drawbacks that have subtly snuck up on me that I'm now realizing I need to 'hack'. I'm relatively new to the 'bio hacking' concept but in a nutshell the premise is that our modern world is screwing up a bunch of natural conditions that human beings need in order to function properly. And bio hacking is about making subtle and sometime dramatic shifts to one's life ... to "hack it" so your human biology can operate better. Let me offer an example to explain more. It's been about a century since indoor lighting has become commonplace in the more 'developed' areas of the world. Same goes for plumbing, central heating, and other amenities more or less. So in the span of less than a hundred years we have 'electricalized' our lives. And JP Morgan trumped Nikola Tesla as to which frequencies would run through our homes and it wasn't a good trump ... but I digress. Human beings do not evolve or adapt as quickly as our gadgets do. Unfortunately a slew of modern illnesses have peaked during the last century too - which makes many researchers wonder about the causes and possible interventions. Do You Need To Bio Hack Your Life! ?